Oven baked with love and coated in raw goodness, the first biscuit treats that truly mirror a whole prey diet! 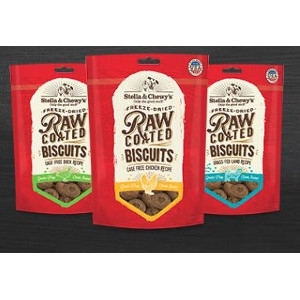 Our Raw Coated Biscuits are full of meat and organ meat for a treat as nature intended that your dog will go wild for! We start with the world’s finest ingredients. Next we gently bake with love in small batches and finally, we coat every biscuit in raw goodness to make the perfect treat! Taste that will make dogs go wild!